As Bob Goldberg, founding editor, noted upon the 20th anniversary of The Plant Cell in 2009 (Vol. 21, pp. 3–12), 1989 was a year of major change: not just for the world (“the Iron Curtain came down, the Berlin Wall crumbled, the Cold War ended…”), not just for science (“the National Center for Human Genome Research was established under the direction of James Watson”), but also for plant publishing. For in January 1989, The Plant Cell published volume 1, issue 1. It brought to the plant biology world a luxe new journal printed on heavy gloss paper with high-quality image reproduction to publish the highest impact articles in the areas of plant cell, molecular, and developmental biology. In the 30 years since The Plant Cell was first published, and indeed in the 10 years since it celebrated its 20th anniversary, the publishing world has changed dramatically. The journal has changed along with it, but it faces greater challenges than perhaps ever before. The year 2015 was a watershed year for The Plant Cell. We abandoned printing and became an online-only journal. Competition steepened: the Web of Science listed over 200 journals in the plant sciences, almost twice as many as in 1990. Nature Plants debuted, and Molecular Plant continued to establish itself as a world-class publishing venue. 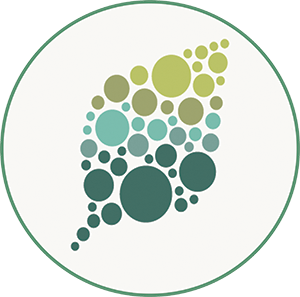 Negotiations also got under way between ASPB, the Society for Experimental Biology, and Wiley to form a brand new sound science journal for plant biology: Plant Direct, supported by The Plant Cell, Plant Physiology, and The Plant Journal. Sabeeha Merchant took the reins of The Plant Cell on January 1, 2015, and immediately got to work on introducing important new changes to continue the growth of the journal, address its challenges, and maintain its status as a leading choice for publishing the community’s best work in plant biology. Since 2015, the journal has instituted pre-review and post-review consultations to ensure fair and thoughtful peer review and enhance the feedback on manuscripts given to our authors, while striving to make decisions as quickly as possible. We have expanded the size of the editorial board to help accomplish these goals and ensure expertise in all areas of submissions. We began publishing Peer Review Reports, with author approval, to inform authors and readers on the peer review process. We give special attention to early career scientists, both to authors during peer review and, notably, through mentoring about two dozen assistant features editors (AFEs), who help to highlight the research published in the journal. These include nine AFEs who translate into Chinese two other new features: Nutshells (article summaries for the non-specialist) and first author profiles. The journal has expanded its presence on social media as well, to reach out to plant biologists and interested lay people worldwide, and especially scientists new in their career. We continue to build on past strengths as well. In 2018 we passed the 10-year mark of introducing scientific editing of all accepted manuscripts, and we engage in ongoing efforts to improve this service with the able assistance of our team of professional plant science editors. We continue to expand Teaching Tools in Plant Biology, an innovation of The Plant Cell started under Editor-in-Chief Cathie Martin in 2009, in more recent years offering competitions and opportunities for guest authors. There are now 38 Teaching Tools, all written or edited by Features Editor Mary Williams, many of which she has revised and updated with the help of over 25 guest authors. Having said that, we are confident that TPC is up to the job! ASPB stands behinds its flagship journal and its sister journals in these “interesting times.” So here’s to another eventful 30 years! We will be celebrating with a variety of activities throughout the year. You can join in by entering a competition to design a 30th Anniversary T-shirt, submit your favorite images from TPC publications over the years, share stories about papers in The Plant Cell that influenced your thinking or your career, and watch for other events and opportunities on our social media sites (Twitter, Facebook, and Plantae). Please join us in saying Happy Birthday to The Plant Cell!